Operation Ouch! is heading to the UK stage for the very first time in December 2018. 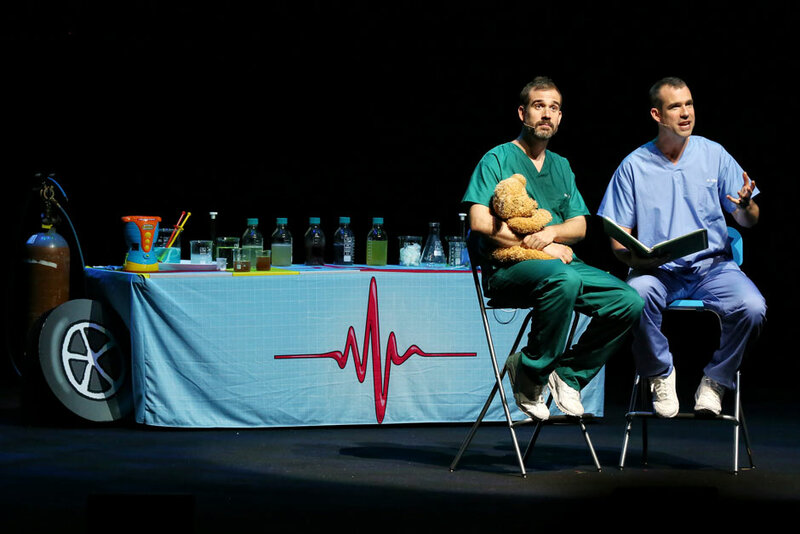 Don’t miss this opportunity to see Dr Chris and Dr Xand up close and personal, live on stage. 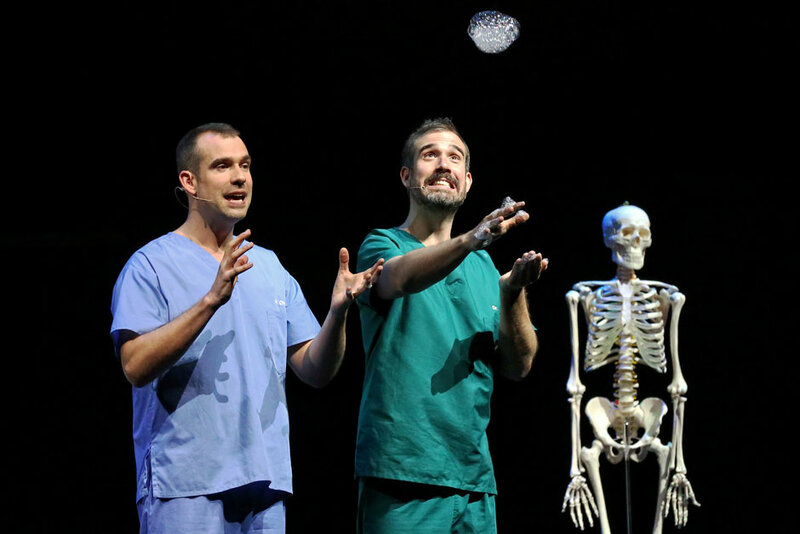 Packed with incredible stunts, crazy experiments and amazing facts, the doctors will explore the fascinating world of biology and show you the awesome things your body can do. Plus, they’ll share their favourite bits from the hit CBBC TV show. What does it look like inside of Dr Xand’s head? How can germs be good for you? What can you do with a month’s worth of farts? How does sneezing work? What exactly happens to the food you eat? How can bugs be good for you? 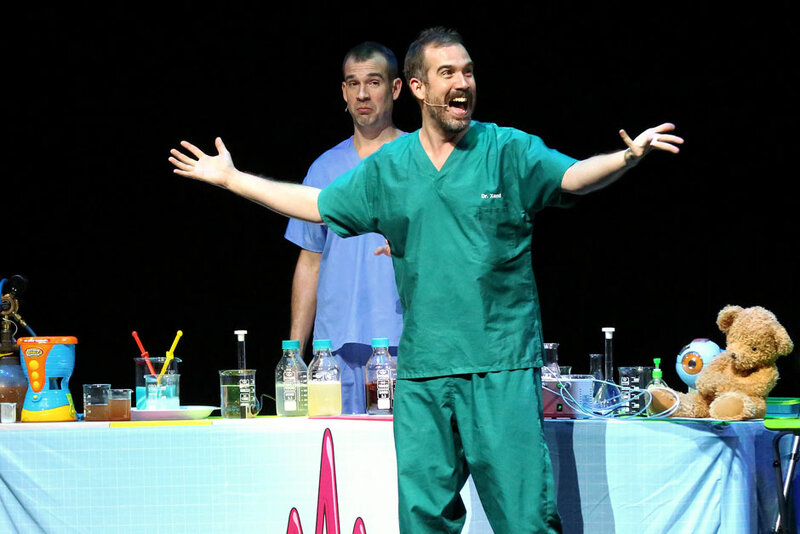 All these questions and more will be answered when TV’s favourite identical twins take to the stage – all in the name of medical science! Doctors, Identical Twins, TV Presenters: Dr Chris and Dr Xand van Tulleken grew up in London and trained in medicine at Oxford University, graduating in 2002. They have combined work in the UK’s National Health Service with global health work and television; appearing in Blizzard: Race to the Pole, Medicine Men and Medicine Men Go Wild. The Operation Ouch! TV series has won two BAFTAs and is now in its fifth season. 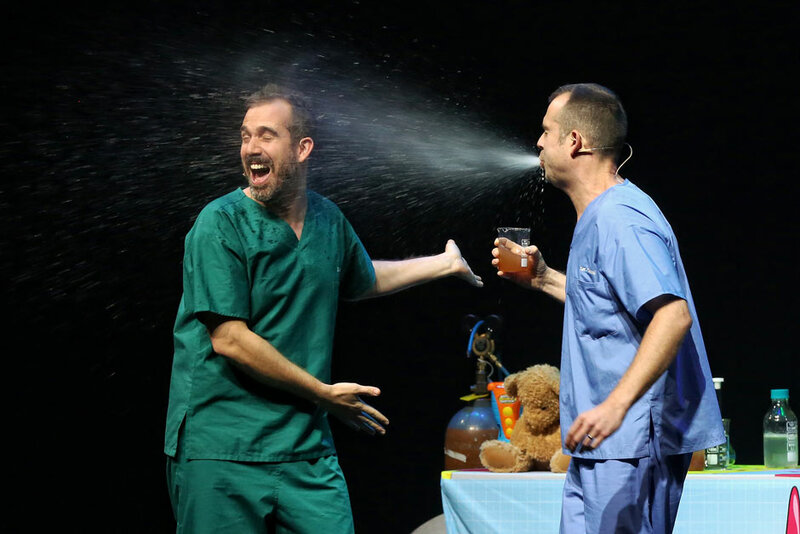 At the Apollo Theatre in London from 6 December 2018 - 6 January 2019, book your Operation Ouch! Live on Stage tickets today! Please note: Recommended for ages 5-12. 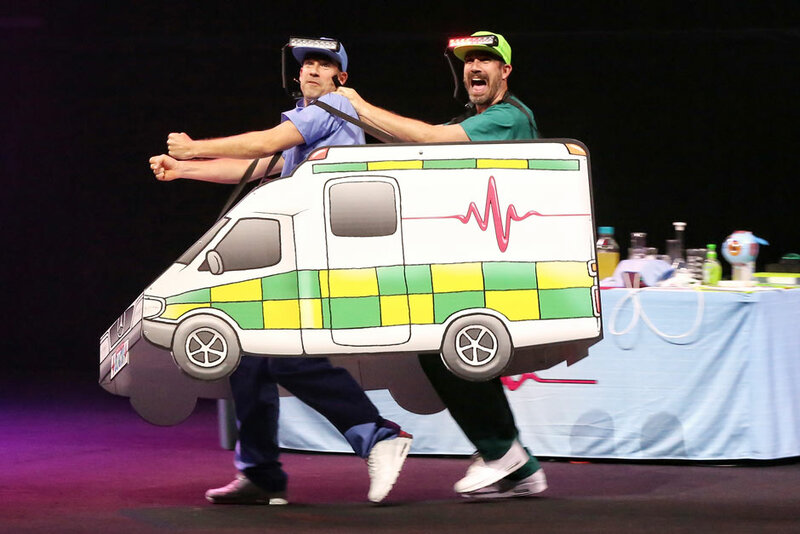 "Operation Ouch! Live On Stage", Apollo Theatre tickets may be purchased by following the Book Tickets links on this page. You will be purchasing your "Operation Ouch! Live On Stage" tickets from the Ticket Machine Ltd, trading as LOVEtheatre. We will always provide you with our contact details before you book your "Operation Ouch! Live On Stage" tickets. Where applicable, "Operation Ouch! Live On Stage", Apollo Theatre ticket prices may include a booking fee which will always be shown separately. LOVEtheatre will not charge you any additional amounts for the dispatch/delivery of your "Operation Ouch! Live On Stage" tickets. Prices are subject to change without notice. 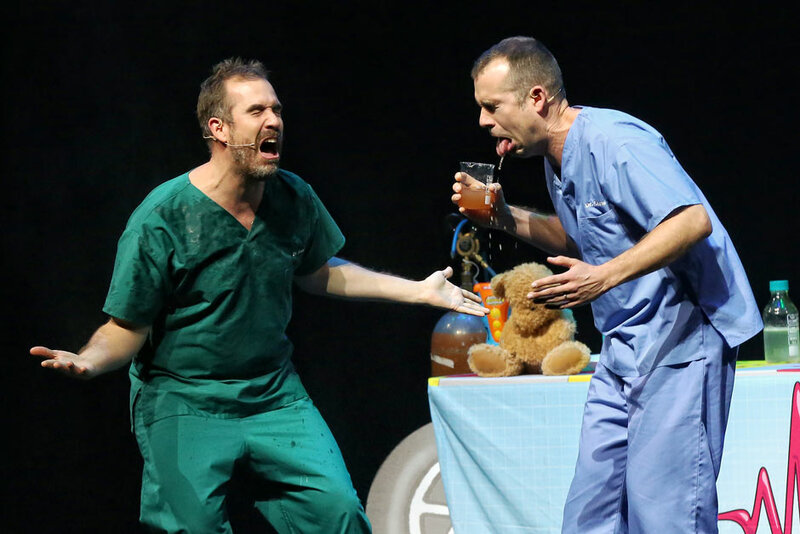 Your purchase of "Operation Ouch! Live On Stage", Apollo Theatre tickets is conducted securely online using 256-bit encryption assured by DigiCert. On receipt of full payment for your "Operation Ouch! Live On Stage" tickets we will issue a confirmation of booking. When booking online this will be in the form of a confirmation page and accompanying confirmation email.